EzeReel XL complete with pre-wound conductors. Pre-wind on EzeReel XL (complete), order above. 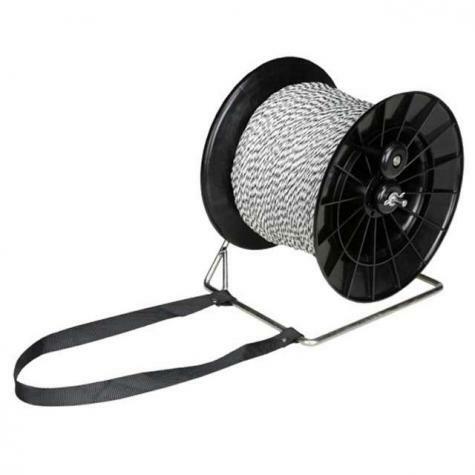 Handy brackets that hold EzeReel or EzeReel XL wind-up reels for electric fence conductors. Device inserts into drill's chuck for speedy winding of conductors onto reels. Awesome product, worth every penny. Love the rope, love the reel (it's worth it). Good product, great price, free shipping!